Warning: This blog is written drunk and may contain some spelling mistakes. I’mm sory. Except of Buenos Aires, Mendoza is the only Argentinean city of which I knew far before arrival I would be going there at some point. Because of wine. There’s only one thing I love more than a satisfying glass of red wine… and that’s a full bottle. With my last Tuscany-winetrip in the back of my head, I was beyond excited to enter this wine-walhalla. And when I discovered my excellent hostel of about €5 per night had its wine included, it came to the point where I got a little emotional. Mendoza probably cost me a few years of my life, but it was worth it. ​However, as I temporarily traveled with a very hands-on and tightly organized Argentino (yes they exist), the first day we had to spend on orientating in the city centre. 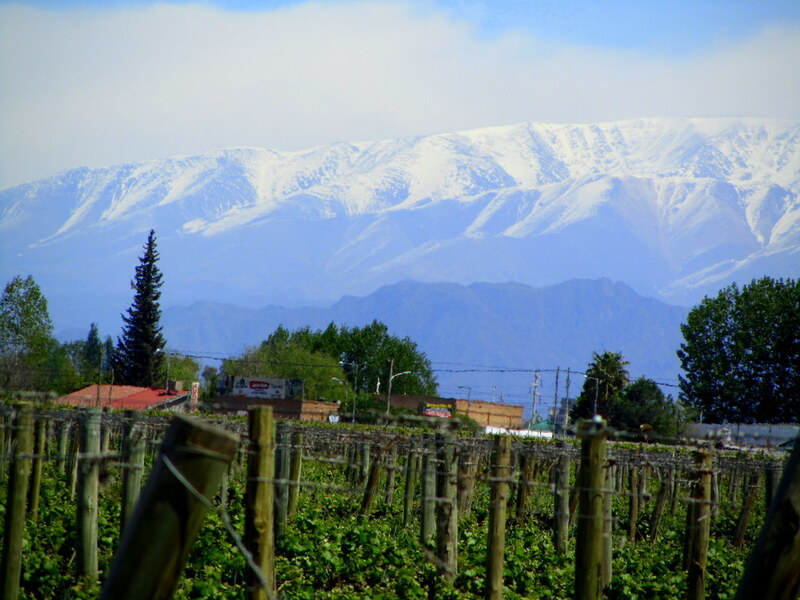 I somehow imagined Mendoza as a romantic boring mountain village in between wine yards and hills. Boy, was I wrong. This city is in fact quite massive and blessed with beautiful, wide avenues. ​These avenues weren’t always there: In 1861 an earthquake ruined Mendoza and the city had to be reconstructed completely. Sometimes God’s wicked games are quite genius, as this town got a complete upgrade: high five old man! A highlight is the huge European-looking San Martín Park, where hot, fit, sweaty men (& women) come from behind every tree and bush. You can imagine I spent four hours there. 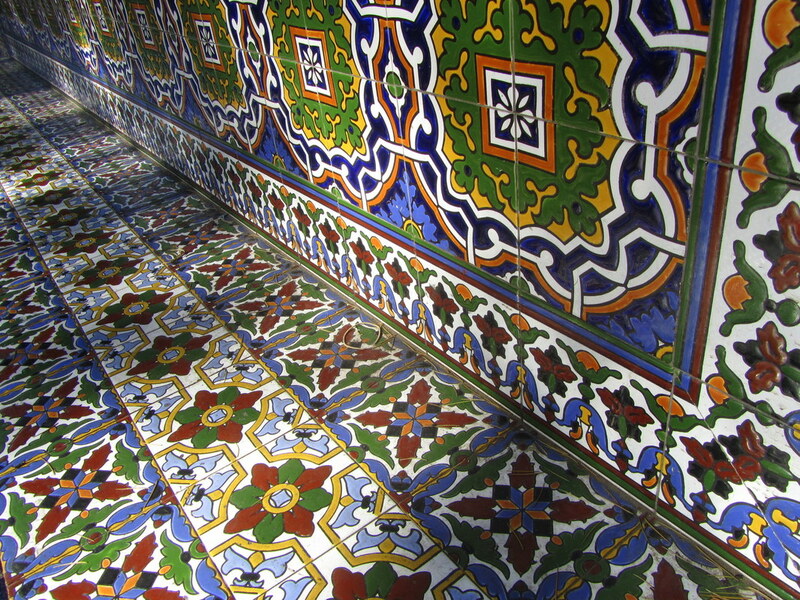 ​I cooled down and dried up completely once I entered Museo Historico San Martín though. It covers some randomly picked parts of history, but looked somewhat unorganized and messy (Messi HAHA, sorry, wine). The same story for Museo Municipal de Arte Moderno and Museo del Área Fundacional, which I visited a few days after. As we didn't want to miss out on the free booze, we rushed back and joined the barbecue. During these hostel asados, of which many followed, we were confronted with inhuman amounts of meat. Honestly, I have no comparison. Argentina knows meat (pre-vegan era, red.). I had made friends with the owners of my previous hostel in San Luis, Pupy & Dem, and they decided to follow me to Mendoza. After their midnight arrival it was generally agreed that we needed another zeven carafes of vino tinto to celebrate. Until 6AM. Surprisingly, the next day was dominated by that big, dark shadow which is called a hangover. I spent this day flat-faced and indoors, swearing I would never drink again. However, once I opened a fresh bottle of high-class Syrah that same night, I decided I shouldn’t be so though with myself and came back on that decision. Together with Alejandro I even regained some energy to visit a tango show. This wasn’t a good idea. Let me summarize it: This show was everything you don’t need with a hangover. I was ready to knock myself unconsciously with the bottle next to me, especially when a massive woman looking like Inca Marina started to read/scream/moan poetry in an ‘experimental manner’. ​The day after was better. Much. It was wine day! We took the public bus to Maipú which stopped in front of Mr. Hugo Bikes. 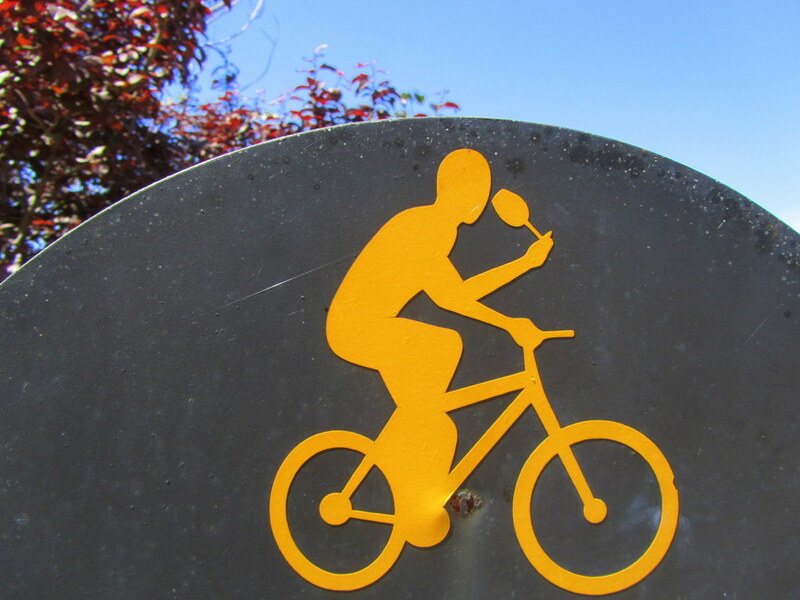 If you are going to drink (again), at least you can burn those calories while biking around with a bottle under your arm (*realistic flashbacks to my student times*). 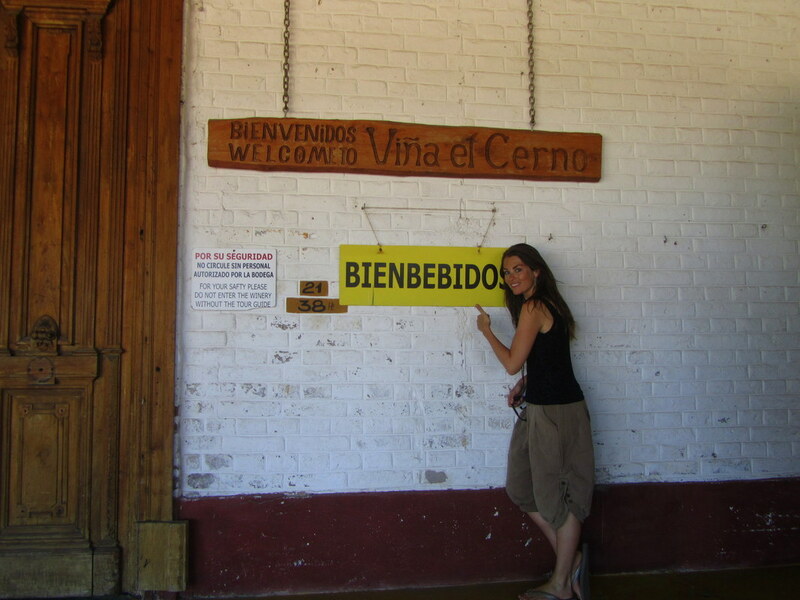 We started at Trapiche, and then headed straight to the tiny Viña el Cerdo where the sign Bienbebido welcomed us. ​After a short tour we did a tasting of the 2008 Malbec, Mendoza’s golden year. Well, tasting… including swallowing, needless to say. Because we didn’t do the 500 peso’s tourist agency tour, but just paid 70 pesos for a rental bike, we had some budget left. We invested that in more wine at the stunning Mevi vineyard. One after another we enjoyed a 2008 Sauvignon, 2011 Malbec and a delicious 2012 Syrah. ​Very flexible we then headed to Familia di Tomaso. Nervous Alejandro started worrying that this drunk driving in Argentina’s unhealthy traffic might end up at the Red Cross soon. The only red cross I was worried about though was my own poor red crotch, as these bicycles weren’t quite the Gazelles I’m used to in Holland. We flushed these worries away with a 2012 Malbec, 2013 Cabernet Sauvignon and the first white wine of the day: 2013 Torontés. Yeah, the tour around the winery that followed didn’t really have our full attention. 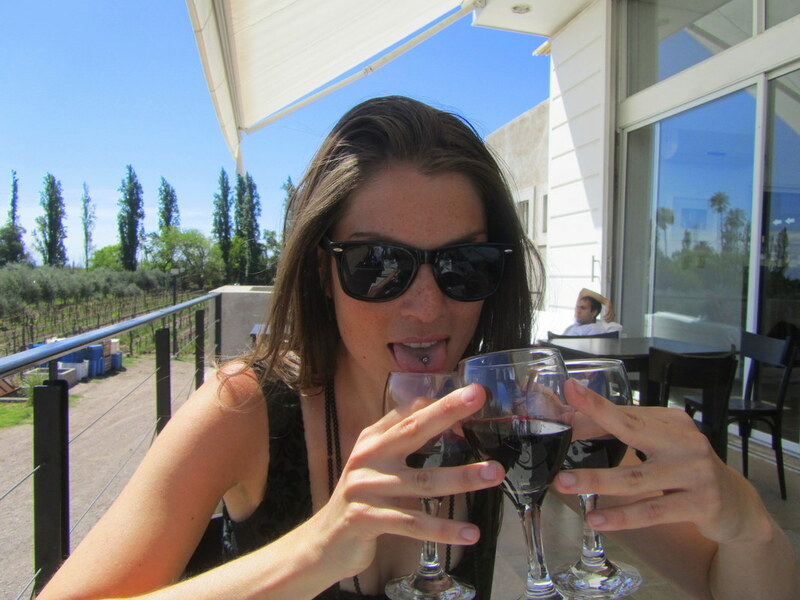 ​Not sure if it’s a good development, but I got very immune for alcohol in Mendoza. After this wine-insanity I felt totally fit and sobered up the day after. 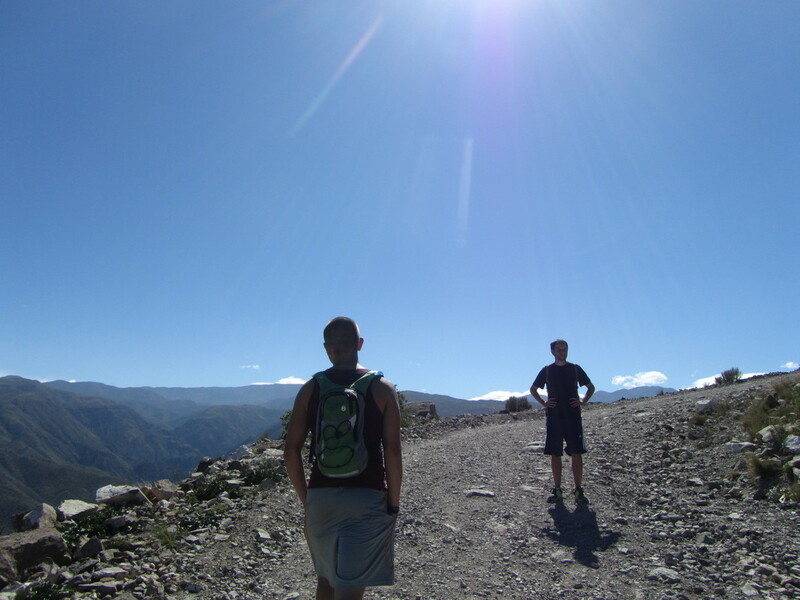 To demonstrate this we decided to go trekking in the nearby mountains, Cerro Arco. Instead of an expensive organized tour, we just took the public bus to get closeby and hitch-hiked to the park entrance. A grumpy, but very fit guy from the US joined us. Sporty Rossy. And Ross didn’t f*ck around. Hiking the ridiculously steep mountains was not enough, he had to jump from stone to stone while complaining this was no challenge at all. 4,5 hours without stops, at an incomprehensive high speed. I could off course just ask him to slow down and explain him I almost passed out from exhaustion. But that’s not how my brain works. So I completely crossed my own physical boundaries and bluffed my way through it. The overwhelming, amazing views kept me going. Coming from one of the flattest countries on earth I know I’m easily impressed by mountains… but this was just incredible. Wild horses dotted the mountains, a bright blue sky accentuated the rough edges and the silence stopped my thoughts.